This exhibit is presented by Bay Arts Alliance at Panama City Center for the Arts. On April 12th, Gulf Coast State College’s Portfolio and Resume Development students will be holding their exiting art exhibition at Panama City Center for the Arts. The exhibition, Deeper Than, explores each student’s take on Surrealism. 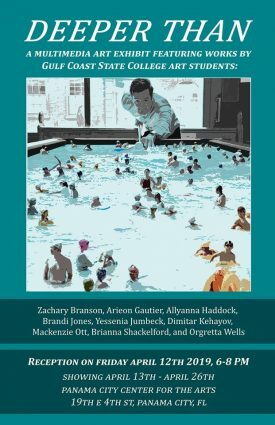 This exhibition will feature nine artists, Zachary Branson, Arieon Gautier, Allyanna Haddock, Brandi Jones, Yessenia Jumbeck, Dimitar Kehayov, Mackenzie Ott, Brianna Shackelford, and Orgretta Wells, who are eager to display their talents and personal interpretation of the world of Surrealism. Each artist is tasked with making a series of work in their own style, by exploring subconscious imagery in various materials. The Visual & Performing Arts Division of Gulf Coast State College is proud to present the annual Student Art Show. The exhibition is a showcase of talent and creativity within the GCSC Visual Art Department. It features work made by students in one of the many studio art classes offered at the college over the course of the 2018-2019 school year. Media included are painting, drawing, sculpture, photography, digital media, and ceramics. The exhibit will run from April 22 – May 3, with an opening reception on April 28, 12:30p.m. – 2:30p.m. 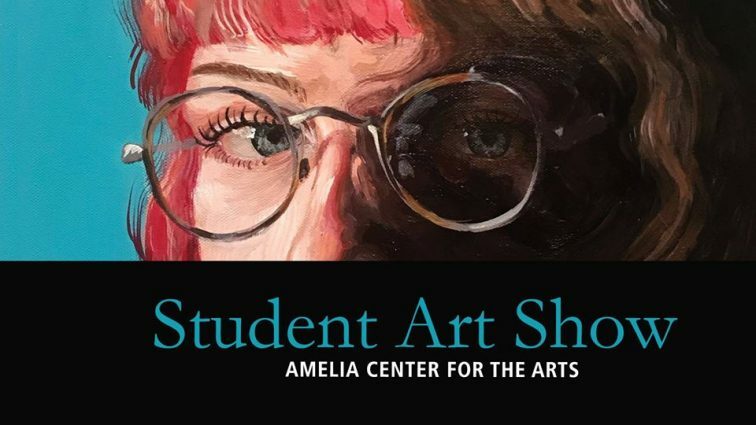 The work will be on display in the Amelia Center Gallery (Room 112). Gallery hours are Monday – Thursday, 10:00 a.m. – 7:00 p.m., and Friday 10:00a.m. – 4p.m. Admission is free. For more information, please contact Pavel Amromin at pamromin@gulfcoast.edu. This play is sure to delight all ages! 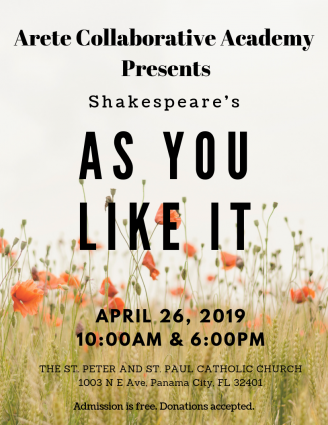 With a wrestling match, brawling brothers and a love story framed by mistaken identity, As You Like It has something for everyone. This performance consists of a 1-hour abridged version of Shakespeare's original with his original language. Admission is free, and donations are welcomed. Thank you for supporting the Arts at Arete! 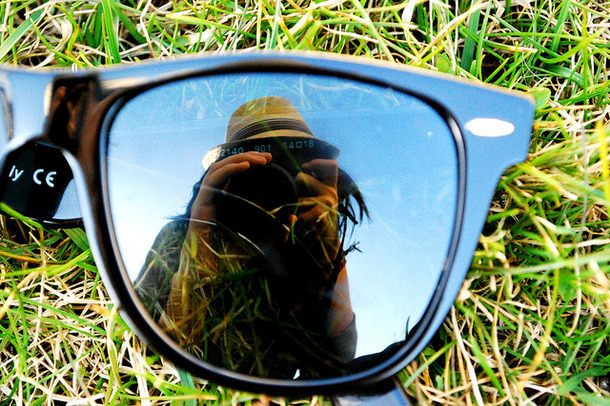 This four week series gets teens comfortable with their camera through hands on practice. We’ll work on exposure basics, shooting indoors and outdoors, composition, and photo editing with Adobe Lightroom/Photoshop. Backstage Pass is coming back on April 26, for a five concert series! 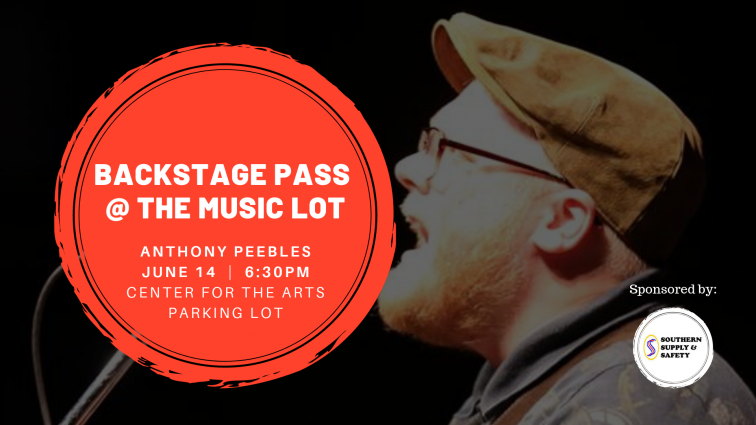 We don’t have a stage, but we do have a great parking lot at the Center for the Arts, so this year, we’re going to rename our series Backstage Pass @ The Music Lot. We’ll have everyone’s favorite things about the event—drinking, tables, live music, and fun! The concerts will begin at 6:30pm, and the Center for the Arts parking lot will open at 5:30pm. Tickets are $5. Tables are available for purchase at $50. Find more information on the Panama City Center for the Arts website at www.pccenterforthearts.com/backstage-pass. Rain decisions will be made by 4:30 PM on the day of the concert and reschedule dates will be determined and announced should they be necessary. 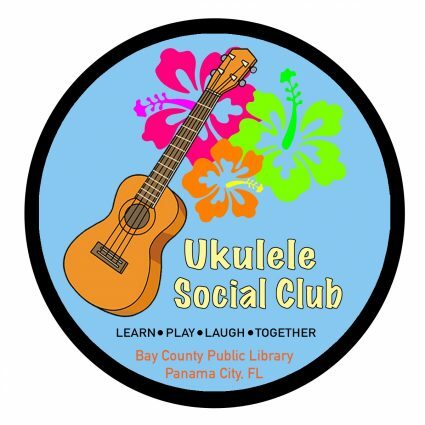 The concerts are made possible by the following organizations: Innovations Federal Credit Union, Hancock-Whitney Bank, Island Junkies, Southern Supply and Downtown Dance. 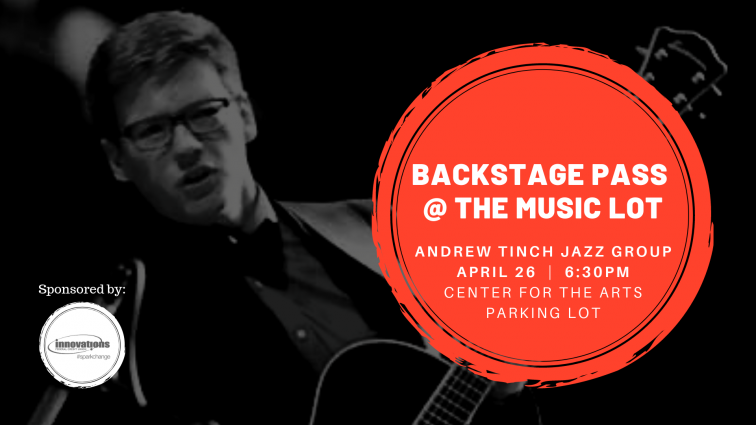 Andrew Tinch is a senior at Mosley High School, and the leader of a popular local youth jazz ensemble called Hornstew. His main instruments are guitar and trumpet, though he also plays piano, organ, bass, and accordian. This concert will feature Andrew on Guitar, Nathanael Smith on piano, Mikailo Kasha on bass and drummer, Charles Pagano. Backstage Pass grew out of the Concerts in the Park series begun in 1986, by Florida First Federal and late community leader, Roger Schadd. From 1986 to 2008, free outdoor concerts were held every summer featuring local bands. In order to keep the series going during the recession, Backstage Pass began welcoming guests through the Backstage Door of the Marina Civic Center in 2009, and the first band was “On Call”, led by the late Hulon Crayton. Tickets were $5 (and they still are) and the community embraced it from the first downbeat. We are so grateful to continue this wonderful tradition. 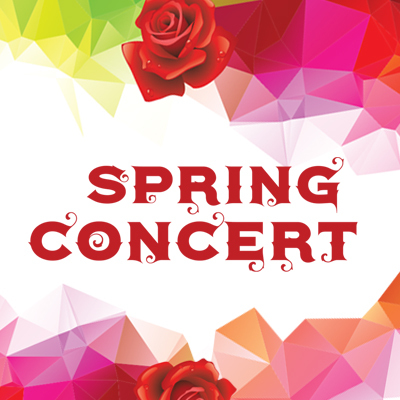 Gulf Coast State College is pleased to present the Spring Music Concert: Concert Chorale & Concert Band. The ensemble will take the stage by storm with their music abilities. This event is free and will be held in the Amelia Center Theatre on Sunday, April 28th at 2:30 p.m. Donations Accepted. For more information, please contact Jason Hedden at (850) 872.3886 or jhedden@gulfcoast.edu. Start from scratch and become familiar with your camera’s most important features, and how they translate into the photograph. This course covers ISO, aperture & shutter speed, metering for light, focus, focal length and more. Lessons include hands-on and outdoor practice (weather permitting). The goal is to trust your choices more than Auto mode! Camera required. *Best for DSLRs, mirrorless or any camera with “Manual” mode but all cameras welcome! 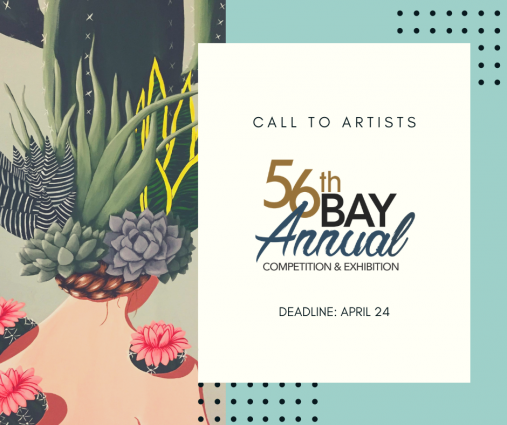 Come to the Panama City Center for the Arts to see some of the best local art in the 56th Bay Annual Exhibition from May 4–31. Every year for the past 56 years, the arts center in downtown Panama City has accepted fine art submissions from across Northwest Florida and hired an outside judge to jury the submissions to the best of the best. The visiting judge then chooses four winners who are awarded at the opening reception. 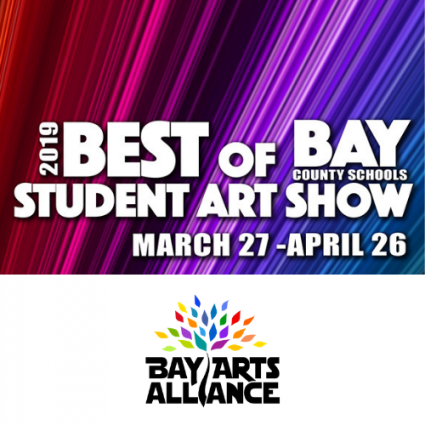 The opening and awards reception will be on May 3 from 6–8pm. The awards will be announced around 7pm. Hope to see you there! 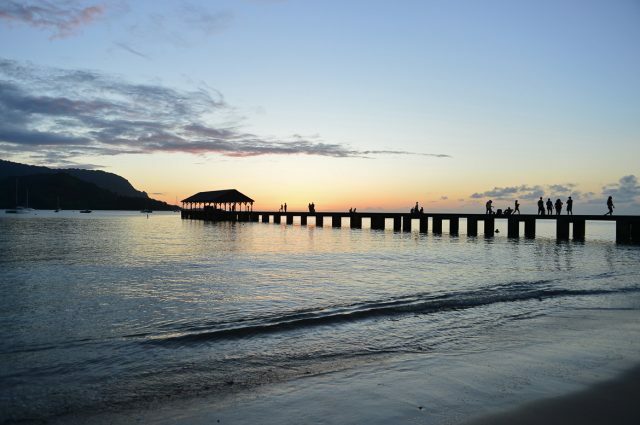 Enjoy summers of days gone by as we look forward to Bay County's favorite season. This collection of historic photographs celebrates summers in our area through the last hundred years. The photographs were carefully selected from the Bay County Library's local history collection by Laura Moree. Join us for the opening and refreshments on May 4 form 2-4pm. The exhibit will be on display through June 1. Jeff Carter is an attorney by day and a musician, singer, and songwriter by night. He's performed with many famous musicians and bands touring the country, including his sister, Deanna Carter, and others, such as Charlie Daniels, Keith Urban, Alan Jackson, Bob Dylan, Jamie O’Neal, Jake Owen, Brian Wilson and more. He was on tour with his sister when he met his wife, Jessie, right here in Panama City. The rest, as they say, was history. 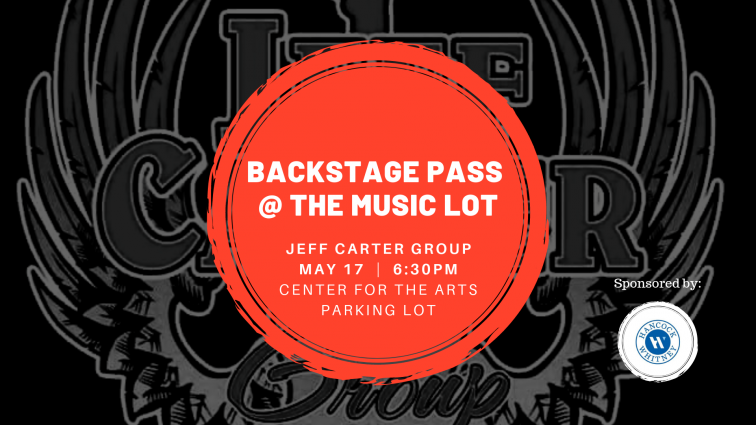 His band, the Jeff Carter Group, plays original blues and rock ‘n’ roll, as well as covers. Salty Dog Day is a celebration of dogs and dog lovers. 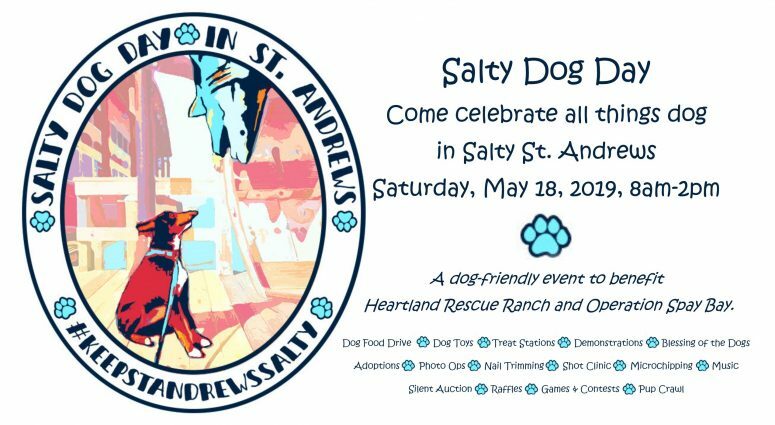 This dog-friendly event is an extension of the Market at St. Andrews to benefit animal rescue and spay/neuter efforts in Bay County. The market will include dog merchandise vendors, groomers, veterinarians, a shot clinic, a microchip booth, a photo booth, treat stations, dog play area, demonstrations, food, music, shopping and entertainment. In the late 1700’s, William Bartram explored the Southeast under extreme conditions. He encountered exotic diseases, hostile natives, raging rivers, and wild creatures, and he studied them all. Linnaeus called him the greatest botanist in the world. But Bartram was actually following in the footsteps of another naturalist who explored the southeast sixty-two years earlier—Mark Catesby. Catesby conducted one of the earliest and most comprehensive studies of the flora and fauna of southeastern North America, which resulted in 263 watercolors and drawings, hundreds of preserved specimens, and fascinating field notes. 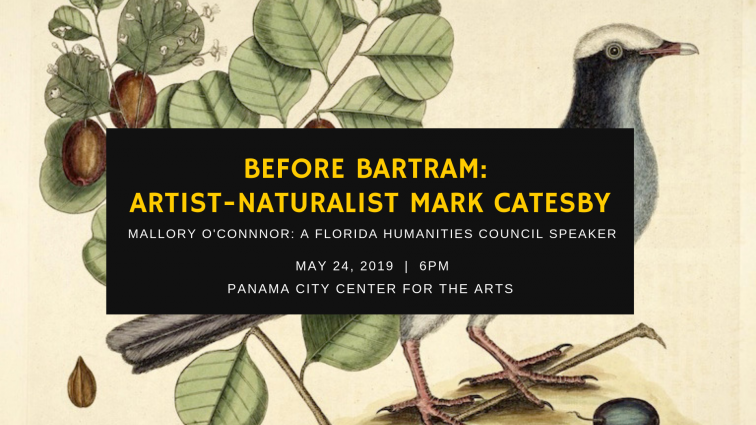 In her talk, “Before Bartram: Artist-Naturalist Mark Catesby,” at the Panama City Center for the Arts on May 24, at 6pm, Mallory O’Connor will be drawing parallels between Bartram and Catesby’s adventures and works. Attendees will also learn more about the historical and cultural context of their explorations and findings to more fully understand the importance and impact their travels had on the scientific community and world. The lecture is the last in a series of humanities lectures scheduled throughout the year that are sponsored by the Florida Humanities Council with funds from the Florida Department of State, Division of Cultural Affairs. Doors open at 5:30pm. Tickets cost $5 for members ($10 for non-members) and are for sale on the Panama City Center for the Arts website: www.pccenterforthearts.com/speaker-series. Mallory O'Connor is a writer, an art historian, and a musician. She holds degrees in art, art history, and American history from Ohio University. For twenty years she taught art history at the University of Florida and at Santa Fe College. During this time, she also wrote hundreds of magazine articles and critical essays, and curated numerous exhibitions for museums and galleries. She is the author of two non-fiction books, Lost Cities of the Ancient Southeast and Florida's American Heritage River, both published by the University Press of Florida. Her American River trilogy is her first foray into fiction novels. Born in Illinois and raised on a ranch on the American River in Northern California, Mallory now resides with her husband, artist John O'Connor, in Micanopy, Florida. 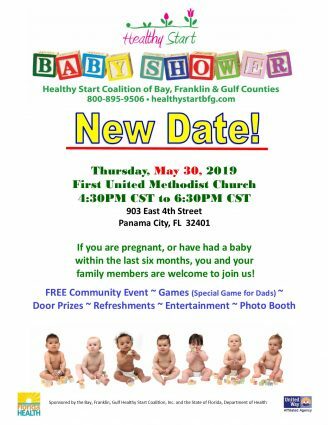 If you’re pregnant or had a baby within the last six months, you and your family members are invited to attend Healthy Start’s World’s Greatest Baby Shower on Thursday, May 30th, at the First United Methodist Church, 903 East 4th Street, 4:30pm until 6:30pm. This FREE event will have education tables, vendors, games, snacks and tons of fabulous door prizes. There’s even a special game for dads. 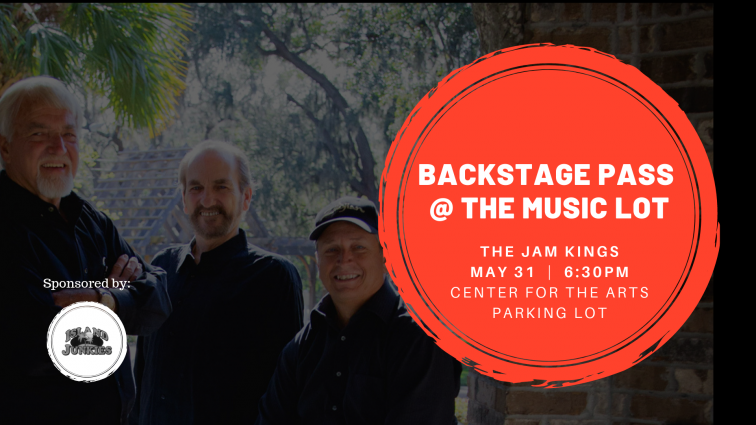 The Jam Kings—keyboardist John Russo, drummer Joey Kirkland and bass player Johnnie Burrows—are a cover band specializing in rock, pop, country and piano bar standards. They have described their target audience as middle-aged people who appreciate music and like to dance. Russo and Kirkland started the band a few years ago, but they needed a guitar player. That’s when they approached Burrows. It took some convincing, but he finally agreed and The Jam Kings were born. Tackle difficult exposures and those photos you just can’t get quite right. 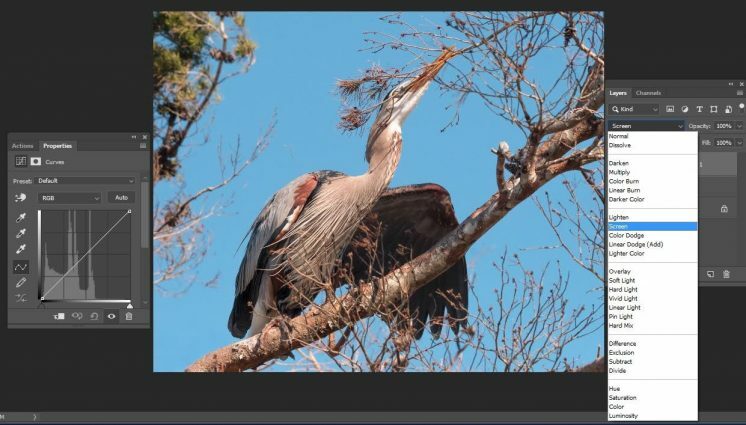 We will learn how to use channels, layer masks, blend modes, selective sharpening, selections by color or object, and eliminate color cast along with some tomfoolery with each of the above. In class you will work along with the instructor, and then practice on your own images. Sign your children up (ages 7-14) for Summer Art Camp before it fills up! Children will enjoy two art lessons each day with a snack and movement break in between. Includes drawing, painting, pottery, cartooning, and more! Panama City Center for the Arts is holding a summer art camp for six weeks this summer! Three weeks in June starting on June 10, and three weeks in July starting on July 8. Sign up for one or all of the weeks. Whatever fits into your schedule. Use our online form or call us at 850-640-3670 to sign up. 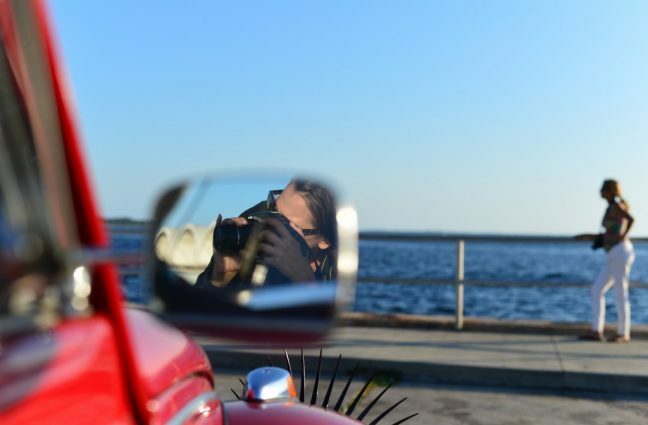 Kids will learn the most important features of their digital cameras, practice photographing a variety of subjects, work with Photoshop to enhance their images, and take home a small portfolio of prints. 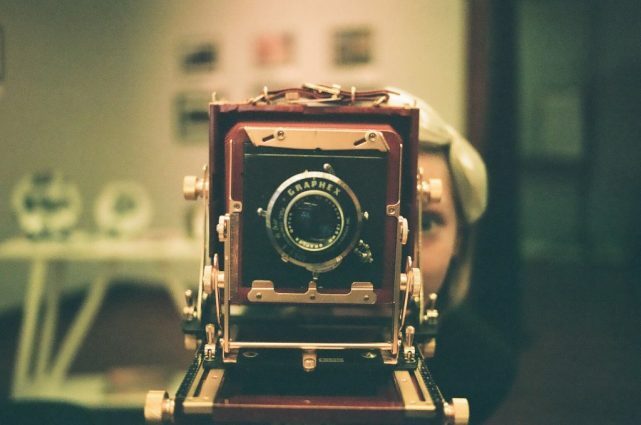 They will also have the opportunity to experiment with 35mm film, instant cameras, and other "analog" processes! *Digital camera required. Any type is fine, even a phone will do in a pinch. Please contact us with questions. We have several cameras available to loan out at no extra cost.